Choosing the right school is an important decision, so we encourage you to try our classes with no cost or obligation and decide for yourself if our school is right for you. ETA offers two FREE trial lessons to all new students. The FREE trial lessons are a perfect way to check out our school and instructors to see if you will feel comfortable studying with us. By the end of your first lesson you will see our classes reinforce positive family values, develop life skills and stress a healthy lifestyle. If you would like to schedule a trial lesson please call and one of our instructors will be happy to make an appointment for you at your convenience. The lessons are 45 minutes for children and one hour for teens/adults, please see our schedule for classes. All you need is some comfortable clothing (t-shirt and sweatpants) and you will be ready to begin your journey in the martial arts. 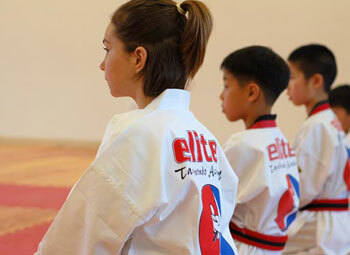 Students begin at ETA in our basic program and may continue in it until they reach their Black Belt. Students develop their mind and body by practicing their manners along with prearranged movements and sparring. The program is designed with student character development foremost in mind, stressing the same values that are being taught at home. We work with parents to monitor student’s progress at home and at school to insure the manners and values being taught are followed. 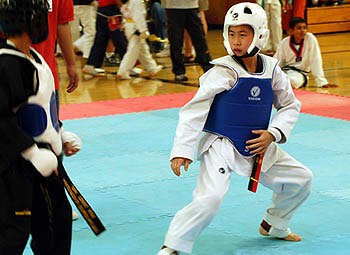 Beginning students wait to spar until they reach an intermediate level so they understand the responsibility of the skills they are developing. Students in the basic program attend class twice a week to insure that they retain the material covered in the classes. Once students reach the intermediate level there is the option of more serious training for those that are interested. 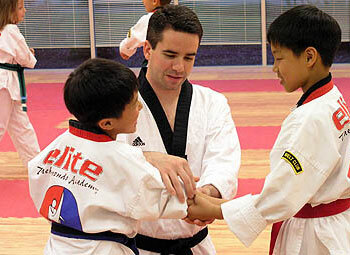 Students that show determination while studying at ETA and are dedicated to obtaining their Black Belt are invited to try the Black Belt Club. In the Black Belt Club students make a commitment to earn their Black Belt and are rewarded for their commitment with some extras that are not offered in the regular program. Meeting one additional time a week, the Black Belt Club works on leadership qualities and practices skills such as tumbling, prearranged self defense, grappling techniques and demonstration kicking techniques. Students that are interested in competing are invited to practice with our tournament team. This class focuses on sparring and really pushes each student to their limit. The students on this team attend sparring classes twice a week and also meet on Saturday mornings for an intense 2 hour workout. ETA’s tournament team competes at local and national level tournaments.